We take the utmost care to make sure your order is immaculately packed and presented. Needless to say all Re Made products pass through our hands, which allows us to devote ourselves to ensuring that your order will arrive safely, timely, and smartly. Almost all our products are stowed in crush-test corrugated boxes packed with wood wool. During the business week, we ship most non-plunger orders the same day you place your order, provided your order is placed before 4pm EST. 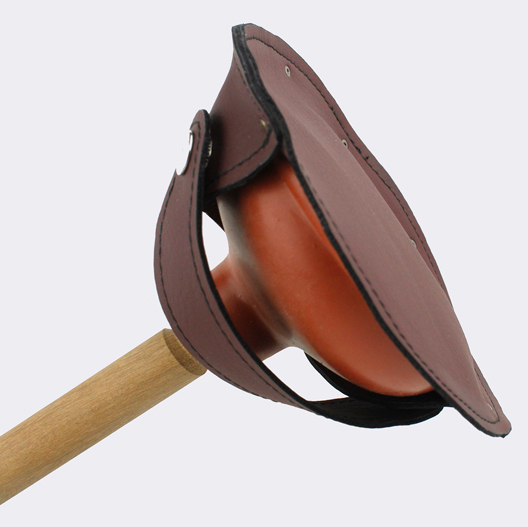 Please check the plunger section for the latest production lead time on plunger orders. Our priority is to ensure that your receive your order promptly so by all means contact us directly if you are up against a deadline. Designed from the ground up in New York City by Re Made Company, tested the world over. 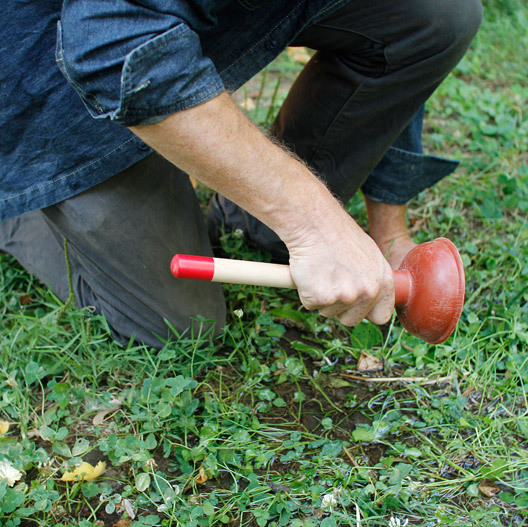 The Straight-Hold Plunger weighs in at just over a pound, it as a Toledo pattern bowl which is hand cast in the United States from an American-made fine silicone rubber that is hardened to a Shore hardness of 60A. 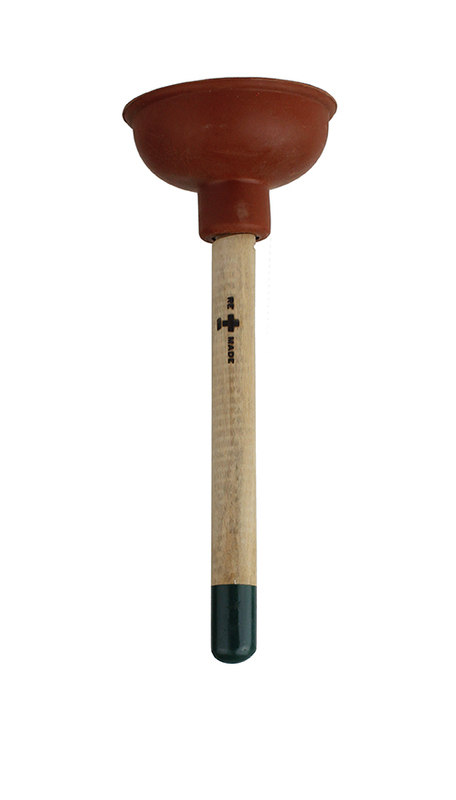 The Appalachian white pine handle of our plunger is dipped in four striking colors and is distinguished by its “straight-hold” profile: a feature that allows for improved agility and safety. The Straight-Hold is perfect for disposer duties, clearing light blockages, and loosening caca. 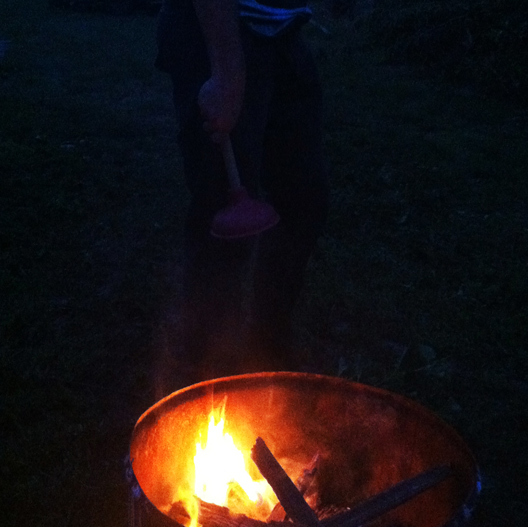 Equally at home next to the fireplace as it is around the campfire, the Straight-Hold Plunger earns its keep as the smallest member of the Re Made plunger family. The straight handle greatly improves the versatility of the plunger. As seen on a traditional plumber’s plunger, a straight handle is equally effective using either sides of the bowl of the plunger head. For meat tenderizing or suctioning tent stakes to the ground, the Straight-Hold Plunger has infinite variability of comfortable hand grips. Due to its straight orientation with the tree’s growth, the handle of the Straight-Hold has exceptional strength. 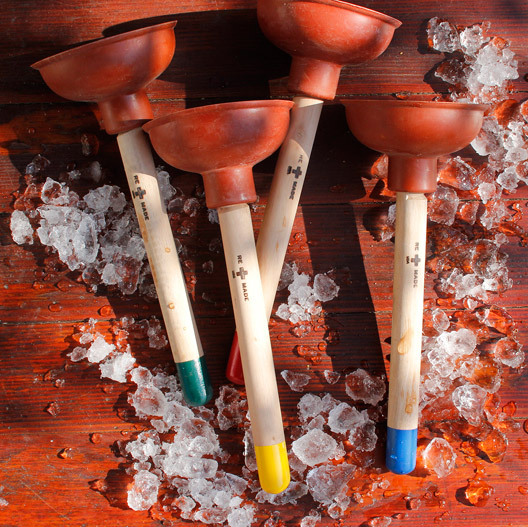 Please note that every plunger is unique, as grain patterns vary and will not match what is pictured here. Our Straight-Hold plunger is hard, and it will bite if you aren’t careful! Always be mindful when using a one-handed bowl. Keep your free hand well away from the area in which you are plunging, and never hold the commode with one hand and plunge with the other.